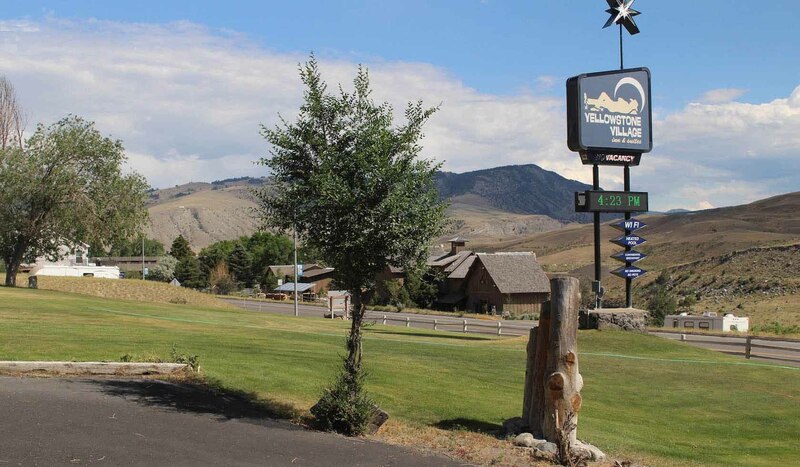 Yellowstone Village Inn is located in Gardiner, Montana at the North Entrance of Yellowstone National Park. Our facility is quaint, cozy and comfortable. Our staff is friendly and helpful. We strive to make your stay as comfortable as possible. Our area offers a great many activities for you and your family. Yellowstone Village Inn is a non-smoking facility. We offer queen and king size beds, high speed wireless Internet, satellite television, air conditioning, refrigerators, indoor heated swimming pool, a western lobby with a fireplace, and a great view of Yellowstone National Park. We also offer a continental breakfast that you can enjoy at your leisure. We have 39 rooms, 2 hotel suites, and 4 kitchen suites. Our area offers great access to Yellowstone National Park, wildlife viewing, fishing, hiking, biking, river rafting, cross-country skiing, snowcoach tours and snowmobile tours. No fee if cancelled 48 hours in advance.